Really impressed with the design choices described above. 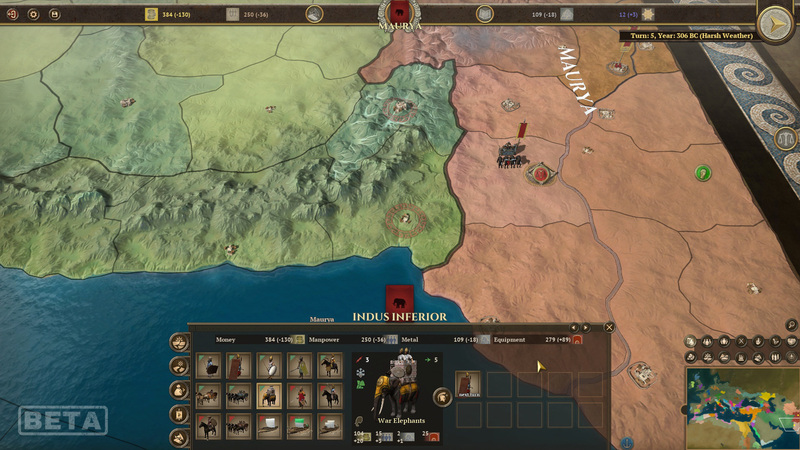 Map looks good, looking forward to more dev diaries! I'm wondering what those icons/numbers in the top bar do represent. The first three to the left seem to be exit/settings/save or so. Then money and manpower. The center one is your side's flag obviously, but I'm not sure about the two round icons next to it left and right. One could be "help" or some "pedia" thing. Also no idea about the two others to the right before the last big, round one with arrow, which seems to be "end turn". I'm pretty hyped for this game, especially because of the integration with FoG2 wich I think was a genius move. 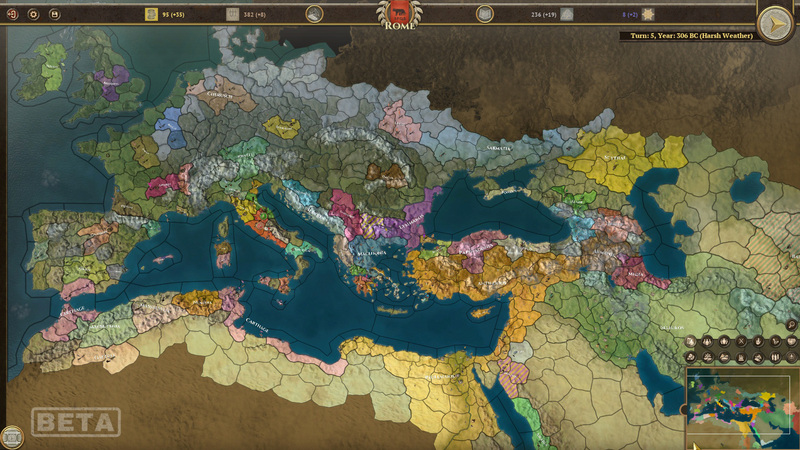 Just to say I don't have anything to add, just by looking at the map I already started to think about more provinces and factions so we can have a more indepth grow of our nation and a longer gameplay. Maybe it will be stuff for modders? Will it be mod friendly? Looks pretty cool so far. Looking forward to seeing how it turns out. the book is to go to the ledger where you get various stats. Then you have your metal stockpile and finally, Legacy, the winning measure. You get an initial set of possible units, that can be changed if you evolve to more 'refined/sophisticated' civilization. Then on top of that, several units categories can be upgraded to an improved version through a reform. Oh, and each unit can also get experience from battle, it goes without saying. 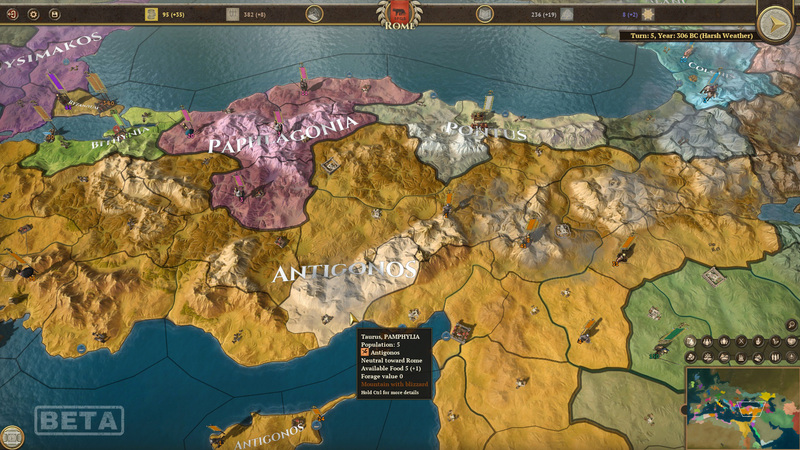 It is very mod friendly, you can add factions, events, change game rules. The gist of it is, that you will feel pressed to move your nation upward on the "ladder" of nations, but with moving ahead you are sowing the seeds for an eventual decline and possible collapse. A collapse that in turn can lead to a rebirth and restoration, or the start of something new. A fall is not inevitable, but it does not mean game over, either. Fall can be postponed a lot with good gameplay and shrewd management though.